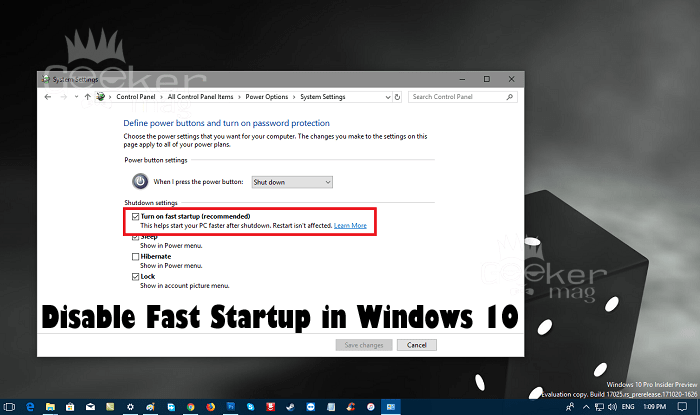 Looking for a way on how to disable fast startup in Windows 10? Here your search ends. In this post, you will find out step by step tutorial on how to do that. Windows 10 the latest version of Windows launched by Microsoft comes with lots of features to improve the performance of the system. One out of them is Fast Startup. In case, the Windows 10 PC taking lots of time to boot up, then you can take help of this feature to speed up things along. Now you might be wondering how Fast Startup feature achieves that thing. Right? The Fast Startup feature is a combination of the elements of hibernate and cold shutdown features. 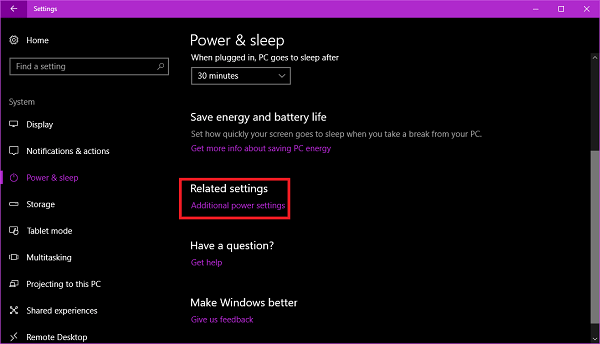 It works similar to the hybrid sleep mode feature available in the earlier version of Windows. 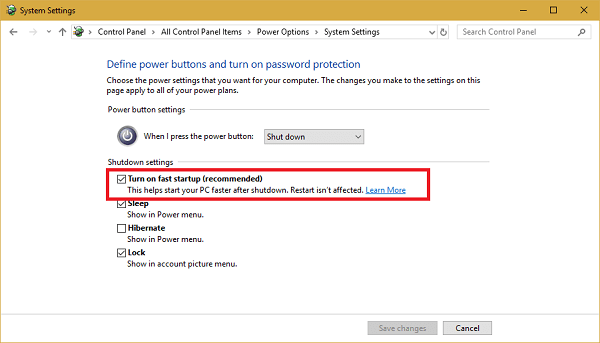 Why Disable Fast Startup in Windows 10? To perform a normal shutdown, which is not possible if Fast Startup feature is enabled. To avoid interference with encrypted disk images. As lots of use of the encryption application like TrueCrypt reported the same. The system does not support hibernation also lack Fast Startup functionality. So it is a good idea to experiment whether the system is working fine or not. When Fast Startup is enabled the system lock down the Windows hard disk. Due to this reason, users won’t be able to gain access to it from the operating system. The scenario can become worse if the system is configured for dual boot. Depending on the configuration of the system, the user will not be able to gain access to UEFI/BIOS setting when turning off the system with Fast Startup feature enabled. In case, you’re not facing any of the issue discussed above; then you can keep the Fast Startup enabled. There is nothing wrong with it. 1. 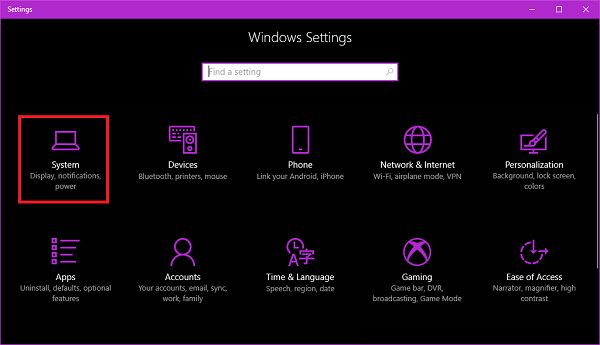 Launch Windows 10 Settings app. For that, click on the Settings icon available on the taskbar. 2. Click on the System -> Power & Sleep. 3. 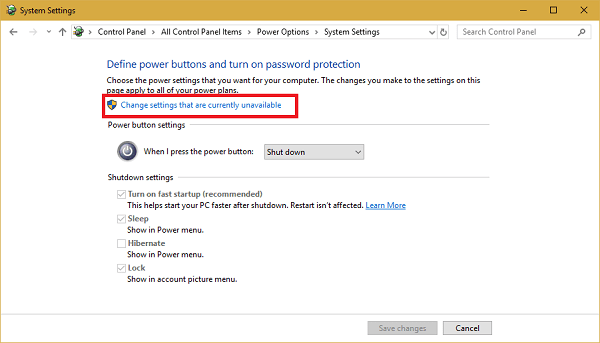 On the right pane, click on the link which reads “Additional Power settings” listed under related settings section. 4. In the following window, you need to click on the link which reads “Change settings that are currently unavailable“. 5. Click on the Save changes button and reboot the system. Bonus: There are lots of users who suggested that they able to fix the Bad Pool Header Windows 10 Error and KMode Exception Not Handled in Windows 10 just by disabling Fast Startup in Windows 10. That’s it, folks; I hope you find this tutorial on how to disable fast startup in Windows 10. Let me know your thoughts in the comments.